Managing behavioral issues: Stallions can become overly aggressive and potentially dangerous to the horses and people around them due to testosterone. Castration may calm a stallion and make him more manageable and easier to train, however some behaviors become learned behaviors. Cryptorchidism: If a colt has this condition, one or both of his testicles have not descended, resulting in reduced fertility or complete sterility. This condition may be passed on genetically from parent to offspring. Undesirable breeding traits: If the male horse has undesirable traits, such as cryptorchidism or confromational issues, they can be castrated as colts to prevent the trait from being passed on. 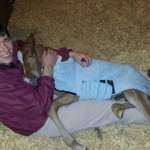 When Should I Castrate My Horse? Typically, male horses are castrated when they are around one year old, as there is less risk of complications. 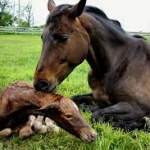 Horses can be castrated as foals. It’s also a good idea to castrate your horse when the weather is cooler as to avoid flies, which can irritate fresh incisions. Of course, you should always consult with your veterinarian as to the best time to castrate your horse, as well as the best method of use for your horse. Before your horse can be castrated, he needs to be in good health and up to date on his vaccinations and deworming. If he is not up to date, it is recommended to vaccinate and deworm and wait a few weeks until the surgery can be performed. Castration is usually performed with your horse lying down under general anesthesia. Your veterinarian will determine which method is best for your horse. After surgery, he will receive antibiotics and anti-inflammatories if your veterinarian deems it necessary. 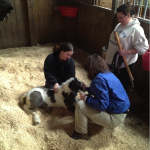 Stall rest and exercise will be determined by your veterinarian. It may be a few weeks before you see any behavioral changes such as calming, since the horse’s testosterone levels will slowly decrease over time. If your horse is experiencing an emergency, call us at 636-332-5373 and follow the prompts.